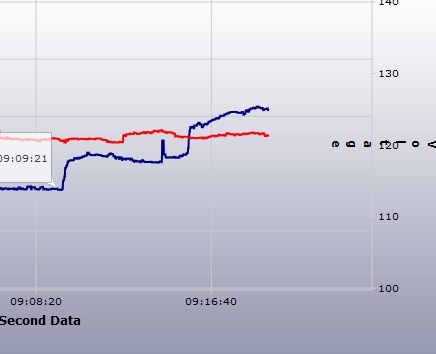 I am able to monitor my home’s electricity use and I always thought it was a little weird that my Mitsubishi FE18NA heat pump seemed to constantly be spiking up and down, considering that the whole idea of the inverter-driven compressor is that it can run smooth and steady… fast forward to yesterday when I received my MHK1 thermostat and hooked it up. 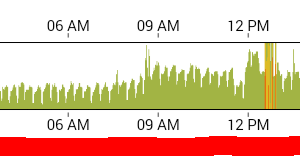 Suddenly, the power usage was steady as a rock. The real reason I bought the thermostat was because the temperature sensor internal to the heat pump seems to be very inaccurate and we constantly had to tweak the set point on the remote when the outdoor temperature changed. The thermostat also fixed that issue, as now the heat pump can sense the real temperature in the room. This makes me think that perhaps the hot air from the heat pump was pooling around it, causing it to think the room was warmer than it really was, throttling down, until the air dissipated and it realized that it needed to heat again. Can it really be so flawed by default? The room it’s in is a small dining room, about 8×10 or so, but one side of this room is totally open to the living room, and the air flow of the heat pump shoots straight down a hallway to the bedrooms. The house does all stay pretty evenly heated, at least with doors left open. Other than having to fiddle with the set point, we’ve never had a comfort problem. 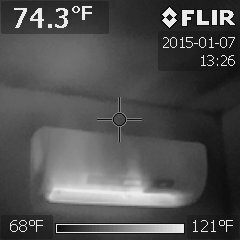 The thermostat is actually sitting on a table just a few feet from the heat pump. But maybe those few feet make the difference, particularly not being stuck up by the ceiling in perhaps a pool of warm air. 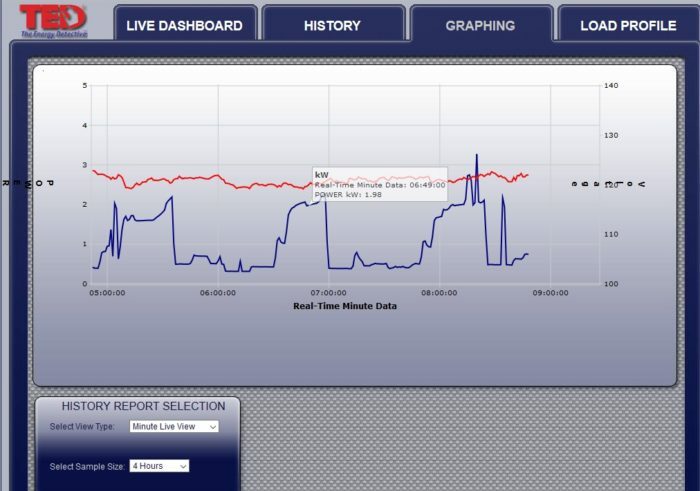 Two screenshots are attached of the “lumpy” and “not lumpy” power use charts. The small lumps in the “not lumpy” are from the fridge, I believe. Control a heat pump with a wall thermostat? Remote thermostat for Fujitsu mini-split ? I don't have the sort of real time data you do but my unit feels similar. While I set the unit to 18 degrees C, the actual room temperature is closer to 16 and it seems to satisfy itself before the room gets warm enough. When I run a portable fan in front of the unit to move air elsewhere in my room it runs longer. My Fujitsu does seem to have a second thermometer built into the remote, so I've been putting that in a cooler area when I want it to run a bit more. We are spending our first winter in our new house, located in NH and heated by one Mitsubishi FH12NA. House specs are at least "pretty good house" and 1320 sq ft of conditioned space. I've been wondering about the performance and proper settings of the unit. When the remote is set at 70 F, I've found the rooms stay around 64-66 F, depending on whether it's an outlying room or more central open room. I did measure 68 F higher up near the unit. I don't have electricity monitoring like you do, but I'm wondering if we are experiencing the same thing, at least from the perspective of the built in thermostat not being a good way to maintain a desired temperature. I'd be curious what others with a single mini split in a high performance house do for temperature settings. Thanks very much for posting your observation and question here. It's an interesting observation, for sure. I had a brief exchange of e-mails with Marc Rosenbaum on this topic. Marc said that he doesn't want to go on the record with any theories without knowing more about your installation details, and that he is unfortunately too busy now to get deeply involved. I'm not going to attribute these hunches to Marc, but a few ideas were tossed around in our exchange. One possibility is that the behavior you are observing is related to the small size of the room. Another possibility is that when the unit starts up after having shut itself off, it always starts up at high speed, and then shuts off again relatively soon. If that is true, it would appear to reflect some design or programming flaw. But this is rank speculation. It would be interesting to hear what the tech people at Mitsubishi think. Have you called them? This is a shockingly disappointing revelation. Mitsubishi should have told me I need to spend another $350 or more per unit to get decent control over its performance. This raises some important issues regarding the viability and reliability of the mini-split solution for heating and AC. If Mitsubishi has any self-respect they will address this here in a public forum. Otherwise greenhorns will be snowed by employees protecting their company and my experience with tech support is that they usually don't know their products in real life application situations anyway. Your experience with the hand-held remote is pretty typical, based on my own experience at my house, plus others I've worked on with ductless mini-splits from 3-4 years ago. I've since switched to specifying external sensors/T-stats, for ductless as well as ducted mini-splits...mostly ducted for me these days in climate zone 4A, though. Your lumpy graph is pretty typical of the "short cycling" that I see when my heat pump has reduced its output to its minimum, but is still overshooting (or thinks it's overshooting) the setpoint by "enough" to shut down the compressor. "Enough" is in quotes because the exact control logic is not published as far as I know. I've found in my own house that I have to set the hand-held remote 3F-4F higher in winter and 3F-4F degrees lower in summer to achieve the room temperature I'm looking for. With more extreme temperatures, I have to increase the "offset". I suspect the infrared sensors that most of these systems come with (for the past several years) were/are an attempt to combat the effects of having a temperature sensor within inches of a heat exchange coil that is well over 120F in heating mode and under 50F in cooling mode. See the attached IR image from a few minutes ago at my house. Room temperature is 68-69F...temperature on the wall just above the mini-split is 74F....temperature on the ceiling above the mini-split is ~72F on the right and ~78F on the left. 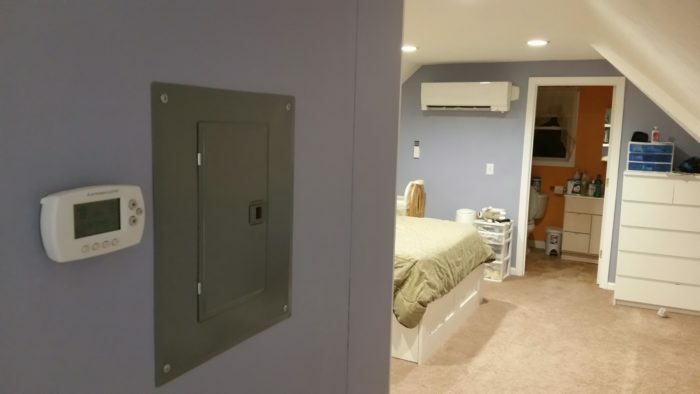 What I'm seeing in this image is that there is a significant amount of heat conducted/radiated from the wall mount air handler UP to the adjacent wall and ceiling. I have to imagine the return air is warmed significantly before hitting the temperature sensor....don't know if the control logic is supposed to adjust for this effect, though. Martin, we need a company rep expert to chime in.... and Dana, what say you? Thanks for the thoughts all. It seems like using an external thermostat is a good idea all around. Martin: I have not contacted anyone at Mitsubishi. Flitch: I got my MHK1, new, for $140 shipped on ebay. I was debating about where to install the wireless receiver dongle when I realized there was enough space inside the circuit compartment of the heat pump itself... so I just shoved it in there. I was worried the shielding would prevent wireless communication, but it works fine. The compartment might be smaller on the smaller sized units though -- mine is 1.5 tons, so a little big. I'm sure if any tech ever needs to get in that compartment, they'll roll their eyes when they find it hiding in there, but hey... it works. I think the new FH models just changed their thermostat/network interface options. Sensing the room temp at the wall coil input is bound to be pretty flaky compared to sensing it across the room out of the air current. Most mini-split installations I've seen first hand have poor absolute temperature control, even when they're running pretty evenly and keeping the room at a stable temp, but at a 2-5F difference from the setpoint. I've yet to deal with one that has short-cycling issues, but it has to be air-current related. It's a bit ridiculous that the wall thermostat units are priced so high- there's no rocket science there. But the sales volumes are pretty low, since most of the time people seem OK with the remote control and intake-air temperature sensing, despite the temperature offset from the actual room temperature. Dana, I disabled the side-to-side oscillation of the vanes because it makes a slightly annoying noise. But that's a good idea, I may play around with the airflow options to see if it makes a difference. For science. I currently have it set to the "wide" horizontal mode, and the vertical mode is one of the upper settings, but not the highest one (blowing down lower dumps the hot air onto the kitchen table which is often not a good thing). So Mitsubishi units only come with a wireless remote? I have two Fujitsus: a mini ceiling cassette and mini-ducted, and they both came with a full-featured wired thermostat. There's an obscure process described in a corner of the user manual that switches the temperature sensing from onboard the blower to the remote control, and I'm unsure why that's not the default setup. In any case, I'm quite happy with temperature control from the wired remote. Has anyone had similar trouble with the Fujitsus? Still waiting for Misubishi to give us an explanation. I wonder if they realize how much business goes their way from this website. Nick ... did you bid or buy posted price? Best posted price on the MHK1 these days is $200/unit. Anyone know if there is a suitable, better priced alternative Tstat? I just had an FE18NA installed and it has been making a funny noise- a continuously rising and falling tone like an engine with a broken governor. The contractor that installed it has verified that there is nothing obviously wrong and has run out of ideas to address the noise. I do not have the ability to measure electrical load vs time but it seems likely that I am seeing the same short cycling that the OP observed. I too am seeing poor temperature regulation, although it seems that most of the time my unit runs over setpoint. Sometimes the room temperature is as much as 8 degrees high. This would not be a big deal to me except that the minimum setpoint is 59 degrees F so I sometimes end up heating to almost 70 degrees when I am not home and would prefer to keep the house at more like 50 (or even 45) degrees. The setpoint error is understandable given the physical configuration but the short cycling is really troubling. A properly designed control system should not do this. Period. I looks like I will be shelling out some more $$ for the external thermostat. Does anyone know if the external thermostat allows a lower setpoint temperature (vs 59 degrees minimum for FE18NA with internal thermostat) when used with the FE18NA ? Chris: Of the handful of FE18s I've observed up-close I've never seen one exhibiting anything like that sort of behavior. If the contractor can't figure it out, it's time to get Mitsubishi tech support involved- there IS something wrong with it. I have a similar problem. The unit is a PolarAC 12,000 mini split; Panasonic compressor private label. The mini split powers down when the room reaches 18C no matter where the remote is set ( 75F or higher. We want the room at 20C.At 30F ambient the mini split will pull 6 amps without satisfying the thermostat. At -10F it pulls 11.6 A at 125 v.
The unit comes with a pigtail for an external thermostat but I have been told they are not yet available. Hopefully they will be before next winter. Is an external thermostat the first thing I should try? I've been fighting the set point issue for months now. I have a an FE18 and 12, and a GE9. All three blow past the set point up to 5* in heat mode. I'm pretty steady 3* over the set point until we get into the 60*s outside, then I start creeping towards the +5* over set point. It would be fine if I could simply do the math and adjust the set point accordingly, but the moment it drops below a certain outside temp, the units heat to the exact set point. So, if I adjust for a +5* set point and it dips to 35* outside I'm all of a sudden at 60-62* assuming a 70* target temp inside. My HVAC company has been great. Mitsubishis- not so much. The HVAC co. had the NW Mitsubishi rep at my house and he found nothing wrong. He's basically dodging the issue. I've started collecting MHK-1 units and plan to play hook them up and see what happens. If the set point issue is resolved I certainly hope my HVAC company will deal with Mitsubishi accordingly. Thanks very much for your comments. Once again, GBA is proving to be an invaluable resource for sharing information. We're all learning together here. If the thing is running continuously and modulating the offset from the room temp is pretty stable over a range of outdoor temps, but it's not a fixed offset- it will vary by how well insulated your house is, the room's direct solar gain, etc.. This isn't a Mitsubishi-specific problem, this behavior is true for all mini-splits that have the room temp sensor in the ductless head (which is the vast majority of them.) At least Mitsubishi has a wall-thermostat option- not all vendors do. John's PolarAC-branded Panasonic sounds like there is something actually defective with the temperature sensing part of the controls. Depending on where the fault is in the control loop an external thermostat may or may not fix it. Dana- What you are saying seems to make perfect sense. I have not monitored the system for the state of on/off so I can't say for sure the heads are actually turning off when the outdoor temps gets a bit warmer. This might solve the question I've been asking myself--- 'why does the temp shoot higher in three different, sealed, rooms with three different handlers when the temps get above ~ 60* outside?'. I've turned off the units during these times of slightly higher outside temps, and, the indoor temps drop well below the set point so it's not the outside temps raising the inside temps. It is certainly the heating system. Interesting. This just re-enforces the fact that these units are faulty. Maybe they are functioning as designed, but then the design is faulty. A set point offset is one thing - I could live with that (even though it's kind of hokey). But not being able to have a consistent offset it absolutely unacceptable in my opinion. It stinks of cost cutting engineering. Sadly this seems to be the new American way. I'm waiting on one more MHK-1 to pop up and I'll be ready to play around with my new 1000.00 Mitsubishi mini-split addition. Until then I've been seeing what the system does in full auto mode. Not auto fan, auto heat/cool. Everyone tells me, and everything I read says don't run a multi-head system on auto heat/cool but aside from the obvious reasons it's suggested not to, there seems to be some real obvious reasons to do so. The real down side of this is it seems to take away the ability to have much of a set point difference in the various zones. I'd like to keep my gym @ 65*, my media room @ 65-67*, and my main living area at 70*. However... for this little experiment I've set all temps to 68*, heat/cool auto, and fan auto. So far this darn thing is pretty steady at plus 2* from set point. Another downside I've read about the auto heat/cool mode is that some people like to turn down the temps by several degrees (to save energy) when they leave the house for the day. In auto heat/cool mode this saves no energy at all, as the unit ramps up cool mode and then once the set point is reached it continues to run at the same energy consumption as if the person never turned the set point down in the first place. I've read some debate about whether or not you're even saving energy when only turning down (or up depending on season) the set point for a typical day. The argument is these things are so efficient that it takes more energy to get the room heated (or cooled) back to your desired temperature vs. just letting it run at normal set point for the 8-10 hours a day you’re out of the house. Anyways...... great discussion here. I'd love to hear more, and I will surely keep reporting back on my experience and outcome. how does "multi head" impact individual head temp control? would, say, a local cold spot, or a defective/ low reading at one of the multiheads, impact other units? Mattw, have you tried running just one indoor unit at a time? It is my understanding and experience that the individual handlers inside operating on one outdoor unit will only be impacted positively or negatively if the outdoor unit is working at or near max capacity. If the outdoor unit is sized properly turning one head on or off should have little if any impact on the others. At least when it comes to hitting target set points. I've had the external thermostats installed for just under two weeks. Problem solved. They are exactly +2 degrees over the set point , but they maintain that two degrees regardless of outside temps. Mid 60's today, 36-37 a couple times since install. Anyone who has the thermostats installed and is getting dead nuts temps to the set point I'd be curious to now what happens if you go in to the settings and change the temp display offset of the thermostat to zero. I tried hoping it might change the actual temps, but it's just the display. How convenient for sly installers and Mitsubishi to allow the change of temp display to accommodate for their inaccurate, yet oddly precise, set point difference. Anyways.... external thermostats for the win. Big $$$ out of my pocket for the lose. But hey, I added the gateway so I could control it all from my phone. Only problem is the 'all' part is about 15% of what the actual remotes do. *rolls his eyes and goes off to enjoy his precise + 2* from set point heated home* :) Still happy to answer questions for anyone else having issues. It's been a 5 month haul for me and I finally feel complete. This thing better hold its own in the summer. :) :) funnylikehaha at gmail dot com is my email. I'm not notified of postings here FYI. Hey Guy, I just bought a Mitsubishi Heat Pump and went ahead and purchased one of these mhk1 units. Is the consensus here that these are required for normal, ( non cycling ) operation? Most installations done with reasonable forethought and clearances from the mini-split head work just fine without it, from cycling point of view. Since the room temp is sensed by the incoming air at the head, room air stratification and drafts can affect the accuracy of the setpoint setting relative to the average temperature in the room, just as placement of a wall thermostat in a less-than-ideal location can. Of course, oversizing the thing ridiculously for the load can result in cycling simply due to the oversizing factor and the limitations of it's modulating range. For what it's worth, my minisplits (Fujitsu RLS3) seem to maintain air temps within a degree or less of the 68 degrees set at the remotes. I've been surprised at how consistent the indoor air temps are, regardless of outside temps. Of course we haven't had any real cold yet in Maine. Low so far is only 18 F.
I chose the placement of the units so I can't place the blame on the installers. However, with that said, I have two units ( with a third coming next year at some point) currently that are 9k under the max limit of my outside unit. I want to avoid the short cycling and keep the units on longer. The units seem to blow cold air at the end of each cycle which bothers the hell out of me. Will the thermostat accomplish this goal ? Probably not, based on your comment, but what mode do you have your Mitsubishi set on? Auto or Heat-only? If the temperature is above the point where it goes in heating-only mode, the mini-split might be shifting into AC mode, if you are running Auto. We have been curious if an external thermostat would help, but we don't experience much short cycling except when the temperatures were closer to 50, and the initial start-up heat from the mini-split was too much for our insulated home. 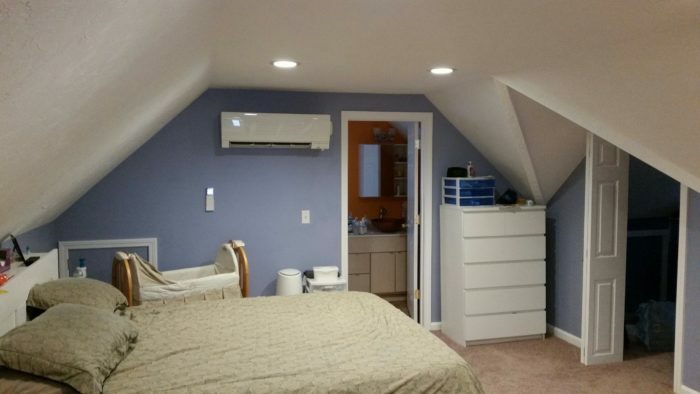 We have two Mitsubishi heat pumps for our 1600 square foot metal SIP home: a 15K and 9K. So far, with temps around 25 as the low this year, only the 15K first floor unit has run. We have some air distribution issues, even though our plan is pretty open, but no real complaints. We have 67-68 in the living room, 66 in the bedroom off the living room, and 64-65 in a back utility room. With it on the temperatures in the living room are 1-2 degrees higher. For a fan that draws 18 watts, that's a huge return. We have it mounted close to the peak of the ceiling and aim it down a back wall to create a circulatory effect in the living room. I have the unit in heat mode, with Auto fan. I have thought about putting a circulation fan to push or pull air from floor but am not willing to spend 600 to get a destratification unit. I used this information to diagnose my similar issue. i found with my Mitsubishi FH 15k btu unit that i was short cycling every 7 minutes. with temps set to 70 inside. The unit is installed on my second floor as the primary heat source for the addition. There is closed cell r38 foam on the ceiling and closed cell r28 on the walls. 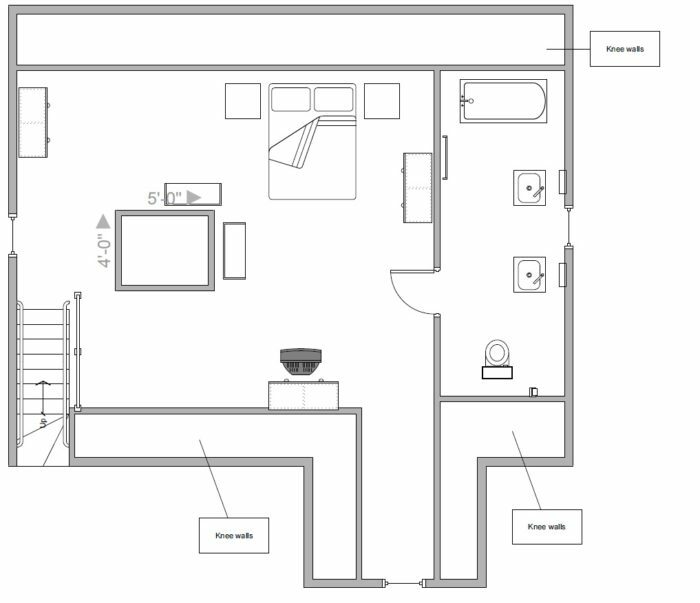 about 600 square ft living space. I know it was over sized since the heating contractor picked the unit assuming fiberglass insulation. 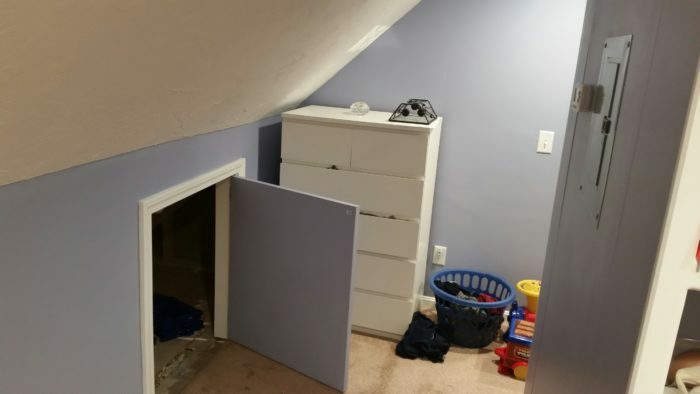 "I know it was over sized since the heating contractor picked the unit assuming fiberglass insulation." 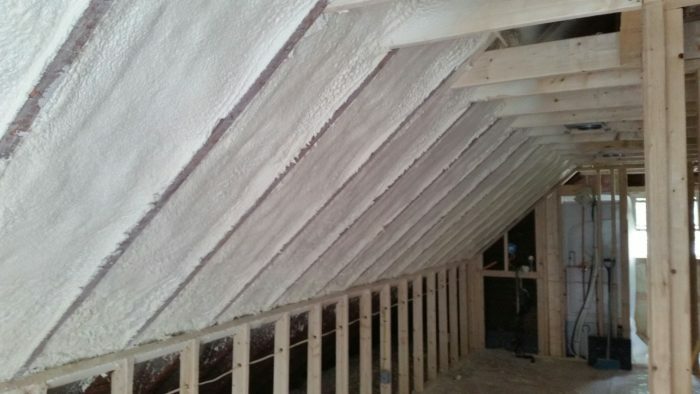 The performance difference between R28 closed cell and R20 fiberglass in the walls or R38 ccSPF in the attic vs fiber is a lot less than the center-cavity performance would imply. The shorter thermal bridging path through the framing is an even more severe lower-R thermal short than with full-depth fiberglass, robbing the whole-assembly performance pretty substantially, despite the higher center-cavity R. The only real performance advantage that may have been lower air leakage, but even that is not guaranteed. At a 25% framing fraction the whole-wall R performance difference between 4.5" of R6.5/inch foam (R29), and R20 code min fiberglass at R5.5" is about R 0.6 (R15.75 whole wall vs. R15.15 whole wall.) They're essentially the same, and it would not affect the sizing of the heating equipment. The minimum modulated output of the FH15 at +47F is 5120 BTU/hr. The min-output at +27F isn't tested & specified in HSPF test, but it's probably over 4000 BTU/hr, and WAY over 2000 BTU/hr. It's highly likely that the reason it's still cycling even with the wall thermostat is that you don't have sufficient modulation range on the low end. The FH09NA can modulate down to ~1600 BTU/hr @ +47F, and still delivers about 10,000 BTU/hr @ 0F, and probably would have been the far better choice here. This wasn't oversized by just a bit, it was upsized by a ridiculous 3-4x factor. Unfortunately i agree with you that its way too much for the 2nd floor based on those numbers. having learned from this i know what it will be replaced with when the time comes. until then ill have to live with it from a heating perspective. From a cooling perspective being the the second floor i should be able to use it to cool the whole house by leaving the door to downstairs. here is more info after going down to 4 degrees last night. interestingly enough the air blowing out of the unit was definitely cooler but as you can see, no issues keeping the room between 72 and 73 degrees. Any thoughts on the location choice for the thermostat? pics attached along with more about the insulation. Hi folks, wanted to chime in with my personal and yet anecdotal Mr Slim experience over the last 3 or so years. They work great, no complaint at all, but I will certainly agree that due to cfm/airflow out of the units the exact temp on the remote is not the exact temp in the room. Not enough 'mixing', but nothing a simple desk or ceiling fan wouldn't fix. If you leave the vane moving options on this helps A LOT, but myself and most people seem to turn them off. I hate the random bzzmmm noise they make when they move. I have been interested in the attachable thermostat and smart-phone integration due to a mysterious issue I have where when I come home from work I occasionally find everything has been turned up to 80F. Due to heat loss it can only make it up to 75 or 78 or so. This is unrelated to the strange summertime issue where I come home and the units are running in A/C mode, but the windows have mysteriously opened themselves. Curiously these issues only seems to happen when the lady of the house comes home early, but she always says she never saw anyone else in the house. Weird. If only these things had a programmable timer instead of just the ir remote would be my only true complaint against Mitsubishi as it is clearly their fault. Rambling and mystery aside, I noticed that the MHK1 mitsubishi thermostat looks like a re-branded version of the Honeywell TH6320R1004 Wireless FocusPro that sells for thousands less. Weird right? Currently the mitsubishi MHK1 kit is $269 on amazon and there is one on ebay for $162 with 23 of you jokers bidding on it. The Honeywell kit is up for $170 on amazon. Yikes. There is also a Mitsubishi PAC-US444CN-1 adapter that supposedly allows the M and P series to interface with Nest, Lyric, and other 3rd party smart thermostats instead of the more communist and proprietary sounding Redlink. Of course it is also about $250, but it shoul allow you mess with your minisplit thermostat settings with any regular programmable or online-enabled thermostat. What always gets me is the price of all this home automation woo-woo. ~$100 for smartthings or redlink only hub, plus $250 for the adaptor/redlink thermostat, and then PLUS the non-redlink smart thermostat. We seem to be out $350 (plus $250 per additional indoor unit) if you go with redlink, and that plus the cost of a google Nest or other $200 smart enabled thermostat for the non-redlinkers. For $500 I should probably start on the siding or crawlspace work for better payback. Figuring out who keeps opening the windows is only questionably worth it. I've having the same issue as Pierre above - I have three split Mitsubishi heads - one high mount, two low-wall. All are in small rooms, but the issue is that in heat mode, everything set to manual, TStat set to 59, they all heat much higher - 70+ degrees. Usually about 73-74 with outside temp in the 50s. Regardless of where the unit is reading the temp from, it's crazy to me that it's reading would be THAT far off. Gonna have to get the external, $300/each MHK1, but I'd really like to either not spend $1,000 on this, or at least know that will 100% fix the problem. With the minimum 59 degree set point, I can't tell if it's just calibrated wildly wrong or if something else is going on. I'm having the same issue as above but my MSZ HE-18NA doesn't work with the MHK1. I bought one thinking it would but there isn't a connector soldered on the PCB where it says CN105. Has anyone tried soldering the MHK1 onto the pins marked that? My thermostat has also been known to suddenly change its setpoint temperature mysteriously. The MHK1 appears to be able to support a setback schedule - just use the same temp for each time period. I have been running an FE12NA (1st floor) and FE09NA (2nd floor) for the past two years in my high performance house. Both units work well, no MHK1. 2 questions: What is the difference between running units on auto with a set point versus a set point with a fan speed. 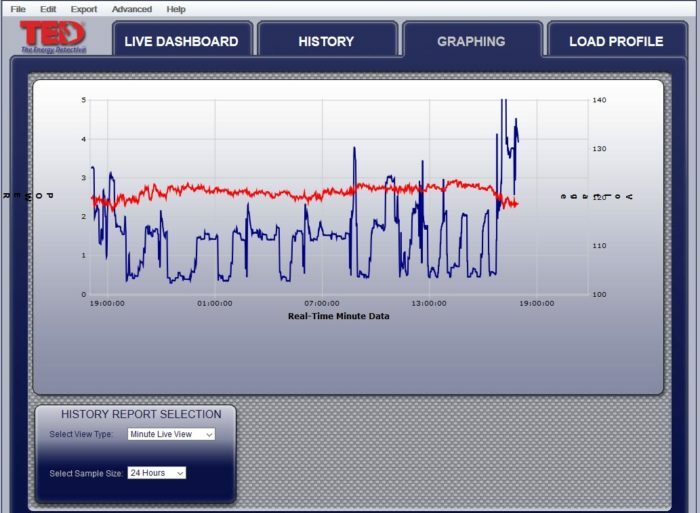 Is there any modulation and monitoring function with set point * and fan speed approach or it is just delivering a constant stream of 68* air at fan speed 1-2-3? Major difference in energy usage? Also, a previous comment was made about Fuji's having Tstat function in the hand remote or head unit (selectable). Is this feature on Mitsu FE-NA series? I am noticing the same thing with my mini split and pondering installing the MHK1 or go the Kumo Cloud route: the Wifi adaptor+bluetooth temperature sensors. Anybody have any experience with the later option ?